Following multiple fires in the area of Maryland and Ellice over two days, nearly 30 people are displaced and seeking shelter. 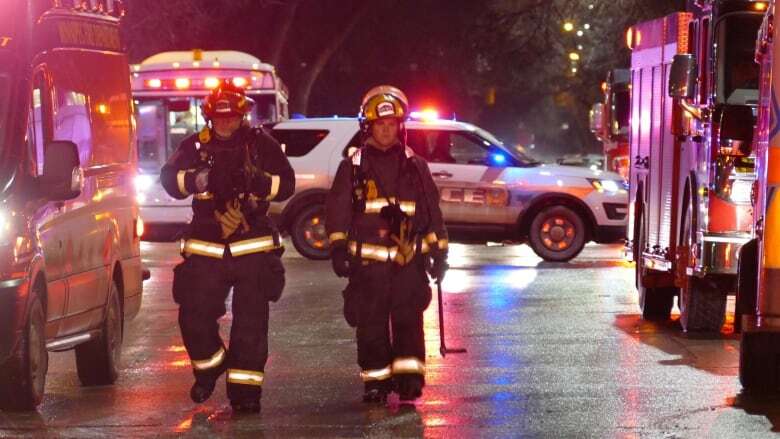 Nearly 50 Winnipeggers are seeking shelter after two fires in two days in apartment blocks in the area of Maryland Street and Ellice Avenue. A fire on Sunday morning in an apartment block at the corner of Maryland and Ellice sent one person to hospital in critical condition, since upgraded to unstable condition. While several firefighters worked to extinguish the fire, others searched the building and found one person still inside. The person was rushed to hospital in critical condition and has since been upgraded to stable. Three more people were taken to hospital in unstable condition after the apartment fire early Monday sent more than 40 people into the street. 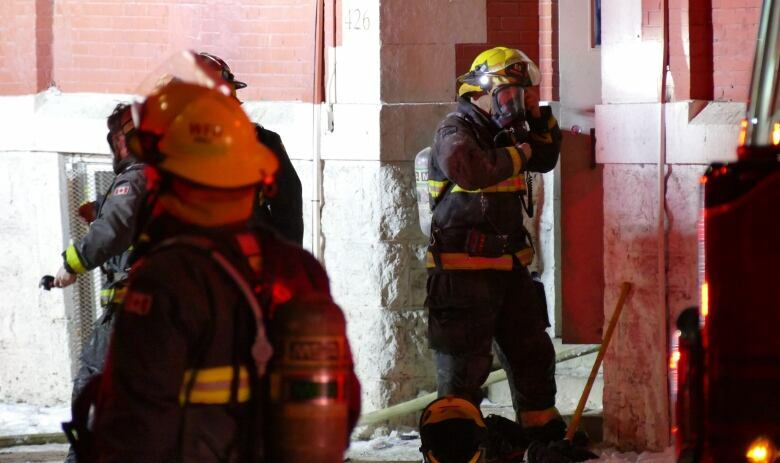 Crews were called just before 6:30 a.m. to the three-storey building at 426 Maryland St..
More than 40 others got out before firefighters arrived. Transit buses were brought in to shelter them temporarily and paramedics assessed them for injuries, including smoke inhalation. A section of Maryland, a main thoroughfare in Winnipeg's West End, was closed to traffic in the morning. The Red Cross is helping those affected by the fires find shelter. "A lot of the work we do is working with people who are especially vulernable. They have less ability to cope with the fires," said Michelle Ford, emergency management co-ordinator for the Red Cross. "That's who we're there for, is to help the most vulnerable people." The Red Cross offers assistance to victims of fires for 72 hours, working with the families to get them back on their feet. "As we're sitting down with each family to figure out their needs, we're coming up with a plan to find other organizations to help them, especially long term," Ford said. The City of Winnipeg's emergency social services team also is helping the displaced residents find other places to stay temporarily. Emergency crews were called to the same area around 4 a.m. Sunday for the earlier apartment fire at the corner of Maryland and Ellice. In that fire, about 30 people were forced from their suites in the three-storey block. 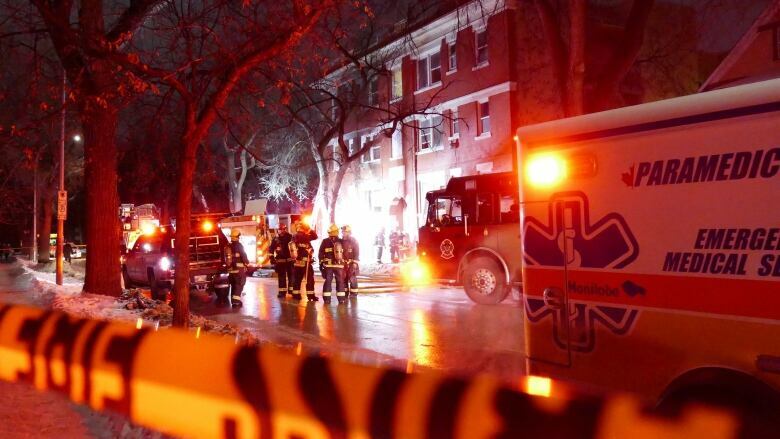 In total, 70 people have been displaced from their homes, according to a City of Winnipeg spokesperson. Crews were also called to a fire just after 7 a.m. Monday in the Riverview neighbourhood. The flames, inside a single family home on Morley Avenue between Fisher and Hay streets, were brought under control by 7:30 a.m. There was one person home who got out safely before emergency crews arrived. The person was assessed by paramedics and sent to hospital in stable condition for further treatment.